On April 4, Adjunct Assistant Professor Sarah Ross, who teaches in the School's Sculpture and Arts Education departments, sat down for panel discussion called "Redesigning the System." Moderated by Carroll Bogert, and featuring Cook County State's Attorney Kim Foxx as well as Cook County Board President Toni Preckwinkle, the event discovered the role art and design takes in humanizing those who are stigmatized by incarceration records, as well as strategies to reduce the prison populaton while preventing so many people from being jailed in the first place. 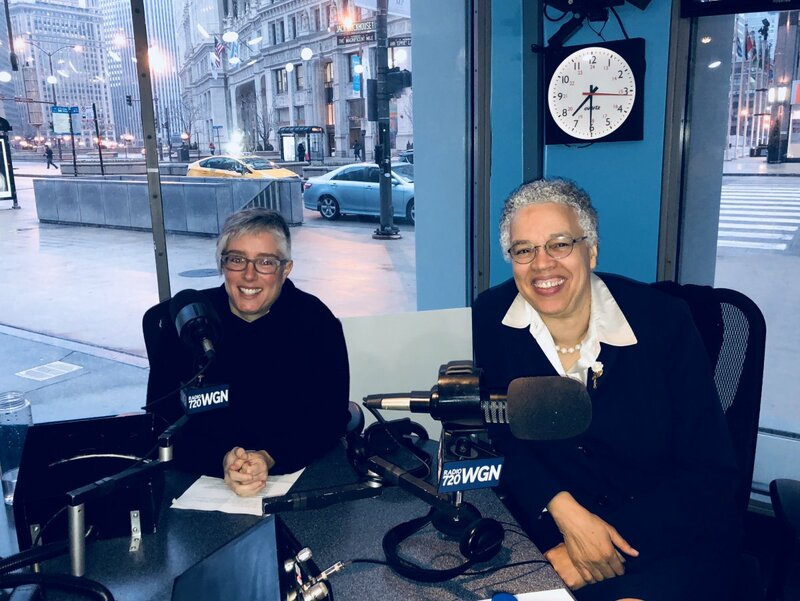 The day before, Ross sat down with Preckwinkle on WGN Radio to discuss these issues with Steve Cochran. Several topics, from Preckwinkle differentiating violent crime from petty antisocial behavior, to acknowledging the intersectional nature of the problem, served as springboards for fertile discussions. Ross, claiming that her responsibility was to offer a visual and critical issue for these concerns, also noted that much of the March for our Lives protest was intended to stop the causes of gun violence rather than the effects. "Artists and cultural makers are really important because one of the things we're thinking about is work that thinks structurally about the [criminal justice] system," Ross said. Listen to the full segment on WGN Radio here.